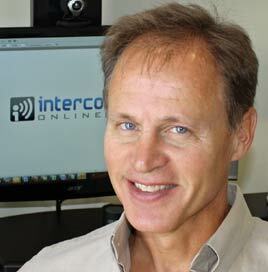 IntercomsOnline.com was founded by Tim Bruxvoort in 2007 for the purpose of solving our customer's communication problems in their homes, businesses, or workplaces through innovative wireless and wired communication systems. Before starting IntercomsOnline.com Tim worked 22 years in the telecommunications industry for telecommunications equipment provider Nortel (formerly Northern Telecom and Nortel Networks). In his time with Nortel he had various roles in product management, marketing, and product development. After getting caught up in a layoff that eventually cut over 50,000 employees, Tim didn't want to go back in to the corporate world, but he still wanted to use his extensive experience in the telecom industry. Recognizing the importance of the growing ecommerce trend, Tim decided he wanted to use the power of the Internet to help deliver communication solutions. He discovered a void for a business that focuses on quick and simple two-way communication devices like intercoms, two-way radios, wireless callboxes, and other devices that satisfy communication needs not met by cell phones. So IntercomsOnline.com was formed and it's been growing ever since. IntercomsOnline sells the best of the intercoms currently on the market, and we have also begun developing our own products to meet more specific unmet needs in the marketplace. Our success is due to our two greatest business assets: our outstanding customers and the product knowledge of our employees.Our business is based on relationships and not individual transactions so it is our goal to make doing business with IntercomsOnline.com easy and enjoyable for our customers and resellers alike.